Taking advantage of Spot instances to realize substantial cost savings is one of the benefits of selecting the cloud. Spot instances are a feature of AWS consisting of spare EC2 instances offered at a discount. The price of the instance changes in real-time based on demand. AWS users make a bid indicating the most they are willing to pay for the instance. If the Spot price is less than the bid, the user receives that instance. Big data workloads can be bursty, with data teams needing to scale jobs at a moment’s notice. By incorporating Spot instances, data teams can better manage the cost of rapidly growing workloads. Since Spot instance prices are based on AWS users’ bids, using them leads to significant cost savings. When compared to On-Demand instances, users who utilize Spot instances can save up to 80% on the price, even for the same instance type. Spot nodes can be reclaimed by AWS at any time, meaning job loss is possible. If demand for the Spot instance grows and the Spot price is larger than the bid price, the Spot instance will then go away. To increase their chances of getting the Spot instance, users will need to bid higher. While high bids can be a smart strategy, AWS can still terminate the instance if there are no spare instances of that type. There’s also a chance that the Spot instance request will still be denied. This happens in cases where the Spot price is higher than the bid or spare capacity is insufficient. Spot instances can also take a while to be approved — at times taking several minutes. Qubole Data Service (QDS) provides a policy-based way to automate the Spot instance bidding process, allowing data teams to take full advantage of Spot instances without devoting resources to managing it. Qubole can use AWS Spot nodes when dynamically adding cluster nodes or as part of the core minimum nodes for a cluster (not recommended for stability purposes). QDS users can select a maximum bid they are willing to pay for a Spot instance. The system then automatically places bids for them, making the process easy to use. Qubole Hadoop clusters begin with nodes at On-Demand instances and can be rebalanced automatically by switching On-Demand instances for Spot instances when Spot instance availability is higher. 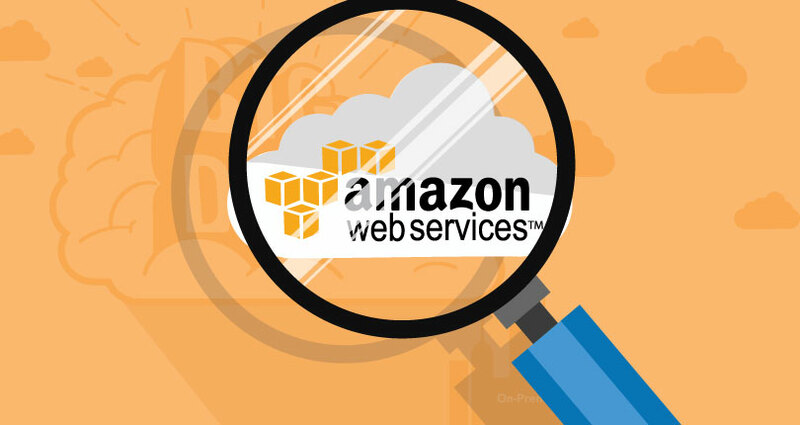 It works by identifying On-Demand instances that aren’t busy performing tasks, provisioning Spot instances from AWS, then terminating the previously identified On-Demand instances. On-Demand Only: Auto-scaled nodes that are added will only be On-Demand instances. Spot Instances Only: Auto-scaled nodes that are added will only be Spot instances. Hybrid: Auto-scaled nodes combine On-Demand and Spot instances. Users are able to choose what the maximum percentage of Spot instances is. Qubole Placement Policy: Qubole has multiple pricing options for Stable Spot nodes (conservative pricing) and Volatile Spot nodes (aggressive pricing). Via the placement policy, Qubole spreads out HDFS storage across Stable and Volatile nodes, thereby minimizing the risk of job loss due to loss of a Spot instance. Fallback to on-demand instances after a configurable timeout: there is no guarantee of getting Spot nodes. Qubole can automatically fall back to requesting on-demand nodes if Spot nodes cannot be provisioned within a configurable timeout period. Intelligent AZ Selection: Spot pricing can vary by AZ (availability zone), sometimes by up to 15-20%. Qubole can automatically select an optimal AZ based on Spot pricing for the cluster instance type chosen. Currently AZ selection is only supported for non-VPC clusters. A majority (~82%) of Qubole customers’ clusters use automated Spot instances. Qubole customers run nearly half of all their workloads using Spot instances, which yields up to 80% cost benefits as compared to on-demand pricing. One particular customer, BloomReach, which offers a data-driven marketing solution, was able to utilize Spot instances in 85% of its workloads. To learn more about how BloomReach incorporated Spot instances into its big data ETL environment, click here.